$1,850,000 [MULTIPLE OFFERS] THE WRIGHT RESIDENCE, 1947. ARCHITECT HENRY WRIGHT. 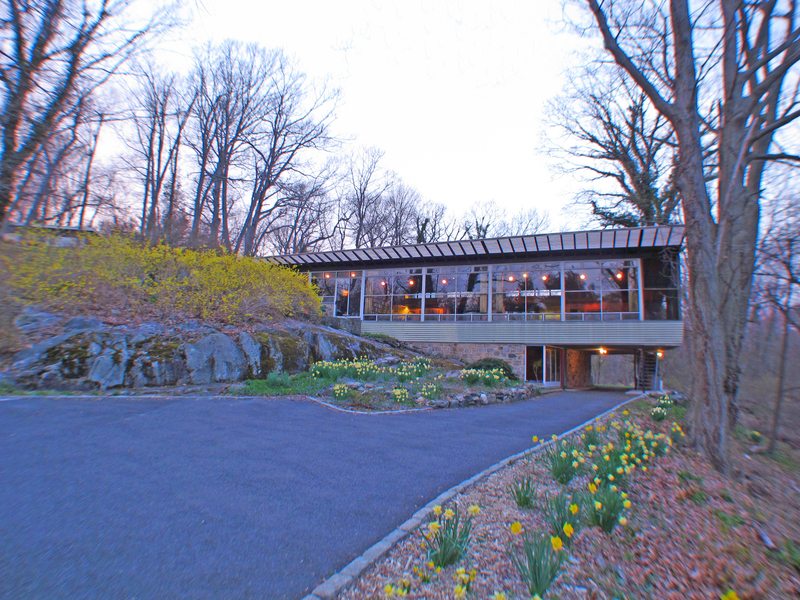 PUBLISHED MASTERPIECE OF MODERN ARCHITECTURE This Mid-Century Modern home was designed & built in 1947 by Henry Wright for his own family, and purchased from the Wrights in 1965 by the present owners. It is one of a community of postwar modern homes developed by Wright and a small group of friends. The house was constructed around the principles of heat and light. The large overhanging roof shades the house from sun in the summer, while the expansive glass absorbs the heat from the winter sun. The interior features an open plan as well as ascending levels. As you proceed up, rooms branch off every few steps creating the impression that the house has several different floor levels. The metal ceiling and stone & wood flooring melds modern & natural materials. The house is essentially a single south-facing shed-roof form anchored on the slope of a solid rock, its west end tucked into the slope and the east end, on thin columns, projected seemingly in space. Behind the west end, added rooms climb further up the rock and behind the east, an added suite angles further into space. The house ascends the rock– an exterior door, from the highest bedroom, is still at grade level. The living room, dining room and hall (in Wright’s book the “room without a name”) combine as one high-ceilinged public space, conducive to entertaining. This cul-de-sac enclave enjoys 60′ x 24′ pool featuring a fountain designed by De Creeft. BY THE NUMBERS: 4 BEDROOMS, 3 BATHROOMS, 2,700 SQUARE FEET, 1.928 ACRES, 2 CAR CARPORT + 3 CAR ADDITIONAL SPACES, 1 CUSTOM TERRAZZO ARCHITECTURAL FIREPLACE.